Even though Moneyspyder is firmly behind the anti-HiPPO movement we recognise it is still important to help HiPPOs. After all, they do rule the business world. Generally speaking it is best to deliver insight to HiPPOs. Make the news - don't just deliver the news! However, there is merit (on occasion) to furnish them with 'vanity metrics' or 'outcome proxies' as we tend to think of them via the medium of 'the dashboard'. Okay, you have the dashboard setup - it offers context as well as just raw numbers. It yields actionable insight (so go do some insightful actions already!). You'll probably want to schedule the delivery of this report via a monthly PDF attachment in an email. Simple in Google Analytics. The note should start delivering context for the HiPPO. Help them already before they open the attachment! Now, the real meat of this post. Provide a link to the report. Invite the HiPPO into Google Analytics...Give them a specific read-only login to one profile that contains the dashboard/custom report. Use the options in the report URL to customise and control what they see. So, what are the customisable options? this is not an exhaustive list - these are just the ones I find useful right now - this list may grow. 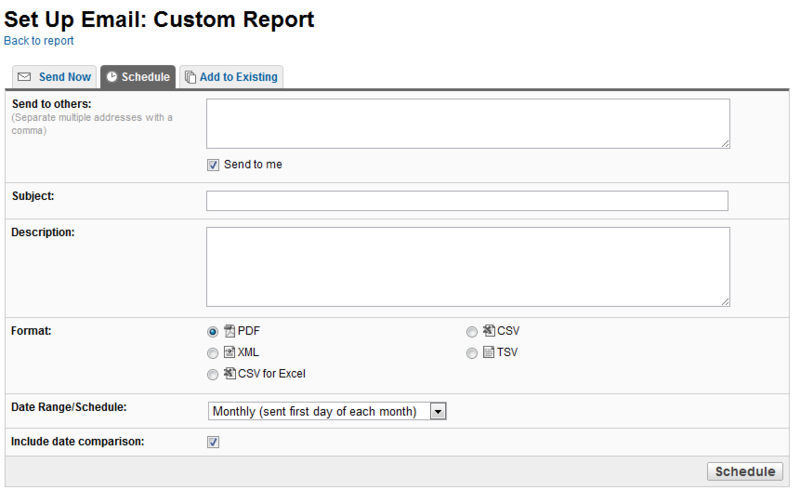 Open your custom report. Write down the id in the url. Use it. How cool! Load a report showing only the segments you want to see! The format for the NVP is segn=-m. So, the default will show 'all users' would be ....&seg0=-1&...the default advanced segments follow the order in the drop down list so 'Non-bounce visits; would be seg0=-12. You can show multiple segments in the format: ...&seg0=-3&seg1=-5&seg2=-12&...which would show 'Direct Traffic','Visits with Conversions' and 'Non-bounce Visits'.